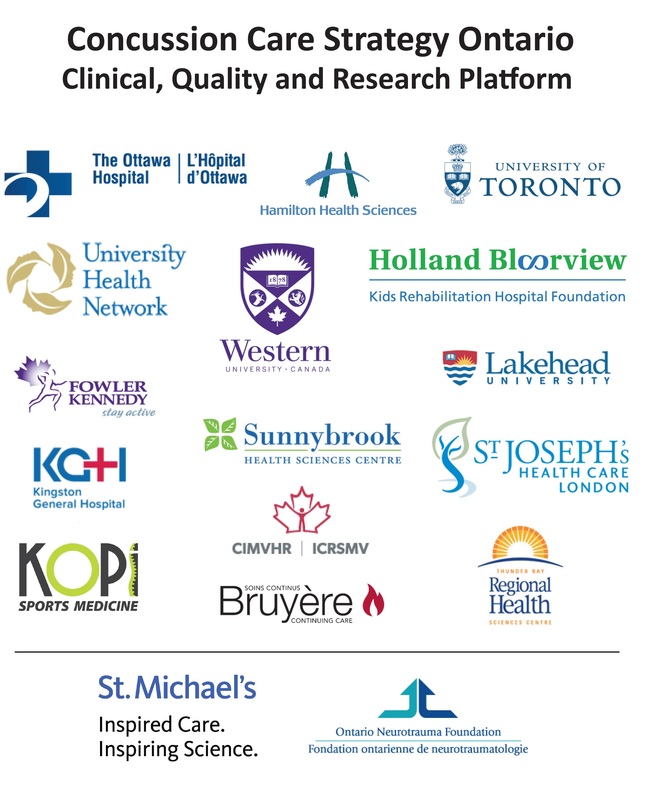 Ontario Concussion Care Strategy (OCCS) is a clinician-driven initiative led by experts at St. Michael’s hospital, working with colleagues from around the province in adult concussion care. The goal is to collect, store and compare standardized (common) data on concussion patients and care. This project will inform clinical care, research and quality initiatives, and work toward more standard practice, improving patient outcomes. This initiative was built on much of the ONF-led work to date towards concussion care through the province. This project, being clinician-driven, serves to further highlight the importance of the standardization of collection of data, or common data elements (CDEs) on concussions, as well as ensuring that patients receive the best standards of care. Considerable patient engagement has occurred, with patient representatives participating on the Steering Committee, providing ongoing feedback on process, content of CDE’s, data collection and challenges in relation to clinical care. Data collection has begun at St. Michael’s Hospital and the Ottawa Hospital Rehabilitation Centre, and the electronic data collection platform has been developed, allowing the sites to individually store their data. ONF has sponsored the project since its inception, and continues to provide seed funds to spread common data collection to other sites around the province. While the OCCS is more focused on adult concussion, collaboration has occurred with the Canadian Pediatric & Youth mTBI Common Data Elements (CDE) Study, being led through McGill University. In the long run we envision that these two projects will lead to complementary information and approaches in adult and pediatric concussion.